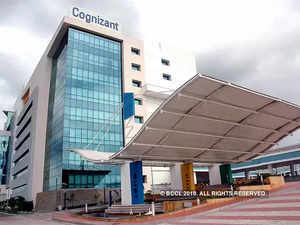 Last year, Cognizant had offered nearly 400 employees a voluntary retirement scheme but this year's move by the company to cut senior level jobs is involuntary. The move is aligned to tailor its workforce to newer digital requirements. As part of its workforce management strategy, Cognizant has let go of about 200 senior employees. The move is aligned to tailor its workforce to newer digital requirements. The move is likely to cost the Teaneck, New Jersey-headquartered company $35 mn in severance payouts, a report in the Times of India said. “As part of our ongoing workforce management strategy, we ensure we have the right employee skill sets necessary to meet client needs and achieve our business goals. This process has resulted in changes, including some employees transitioning out of the company. We continue to enhance our capabilities and hire for roles across all our practice areas in the company. Details of severance or any other conditions of employment are confidential,” the company said. In an interview to The Economic Times in August, Raj Mehta, President at Cognizant, had said,"We are trying to clean up the higher end of the pyramid and allow our associates to grow." In the same interview, Mehta had added that this was a global exercise and was not focused on a particular region and that the company’s headcount had grown in the (second) quarter. Cognizant’s headcount rose by 7,500 in the second quarter to 268,900. Some of those who have been affected by the move said that they were asked to sign mutual release agreements specifying that they won't press legal charges against the company, the report in the Times of India added.